After returning to Barcelona from Amsterdam, I had five full days left with no scheduled obligations. I spent most of the time hiking around to various places in the city that I hadn't yet had a chance to visit, or that I'd only been by on runs and therefore unable to photograph. On the first day back I took a breather from the hyperactive travel and sightseeing (and took zero photos, incredibly), but I got right back to it on the day after, with a visit to the Palau Nacional. 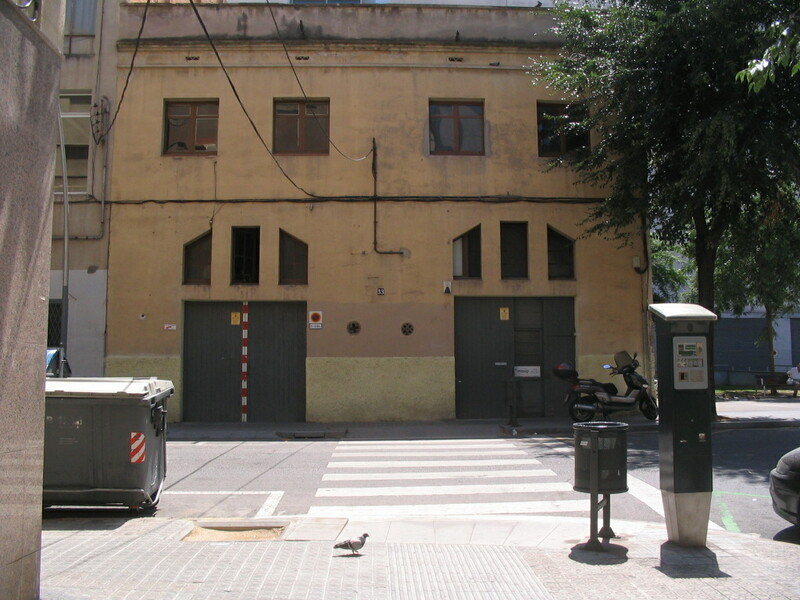 Starting west on Carrer de Sant Antoni Abat at the end of Bisbe Laguarda. 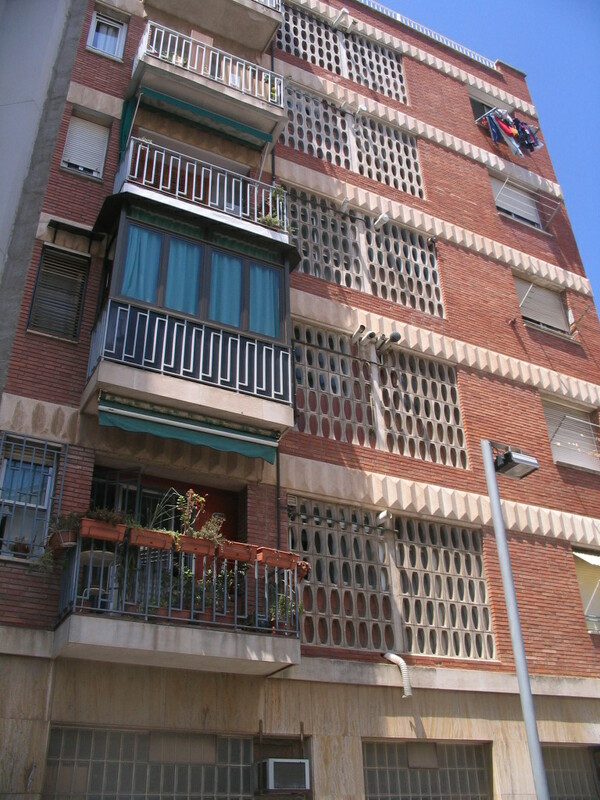 All kinds of horizontal window arrays in the south face of the Parròquia de la Mare de Déu del Carme. 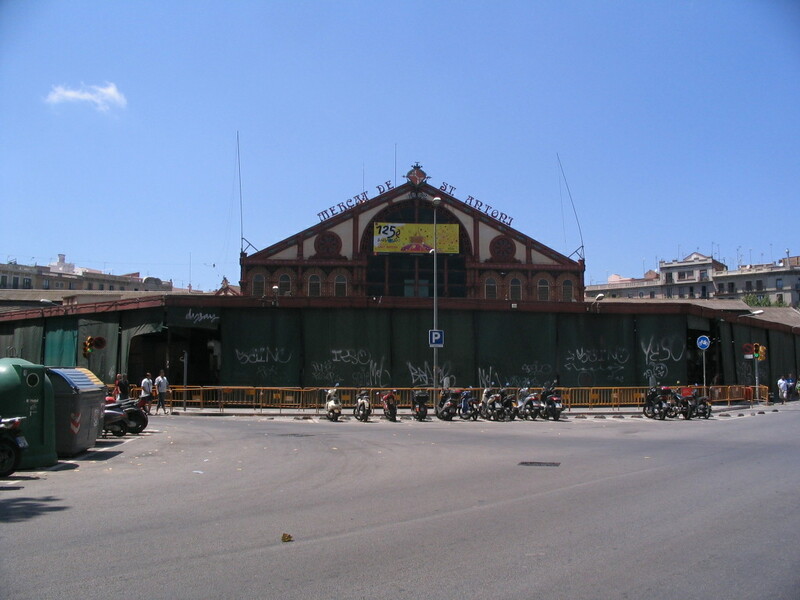 Just past the end of Sant Antoni Abat, up against the edge of the Ciutat Vella, is the Mercat de Sant Antoni, one of Barcelona's famous market buildings. 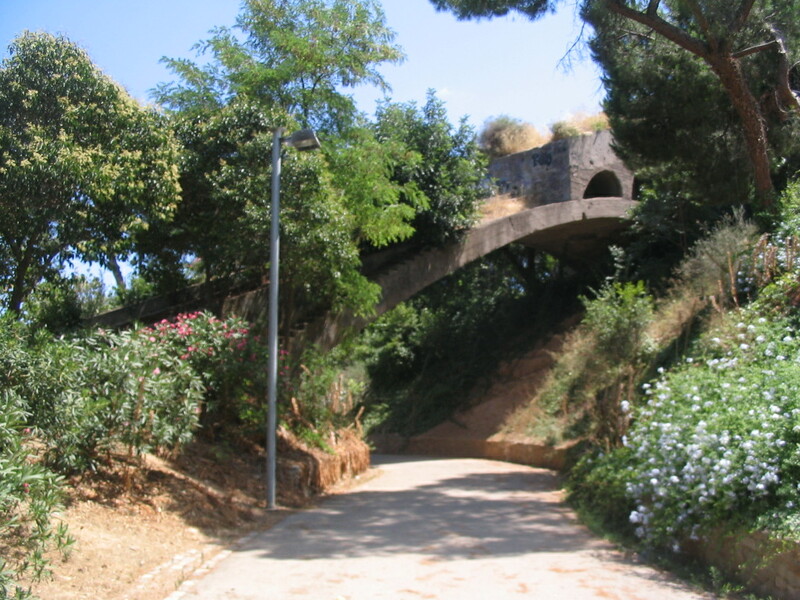 It was designed by Antoni Rovira i Trias and opened in 1882. 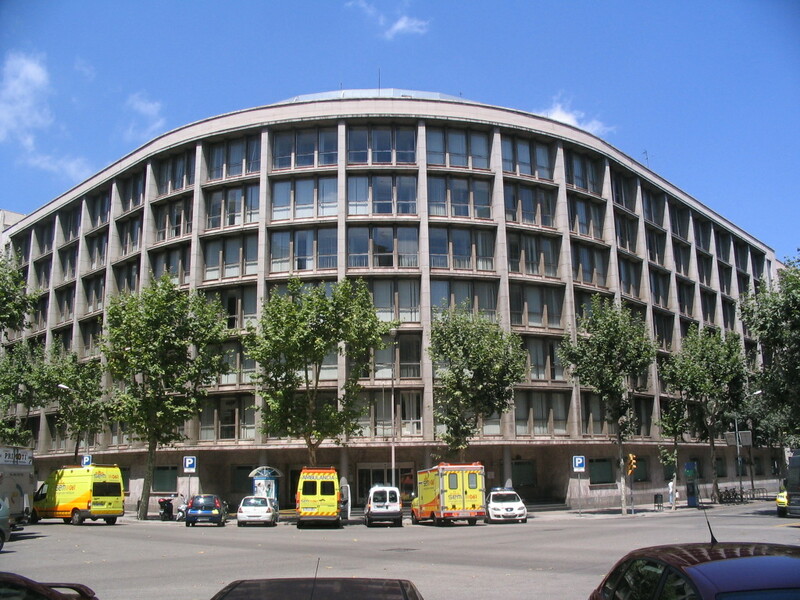 Zigzagging bays on the west corner of Carrer de Calàbria and Carrer Manso in the Sant Antoni neighborhood, its wide chamfered edge a good example of an Eixample block. 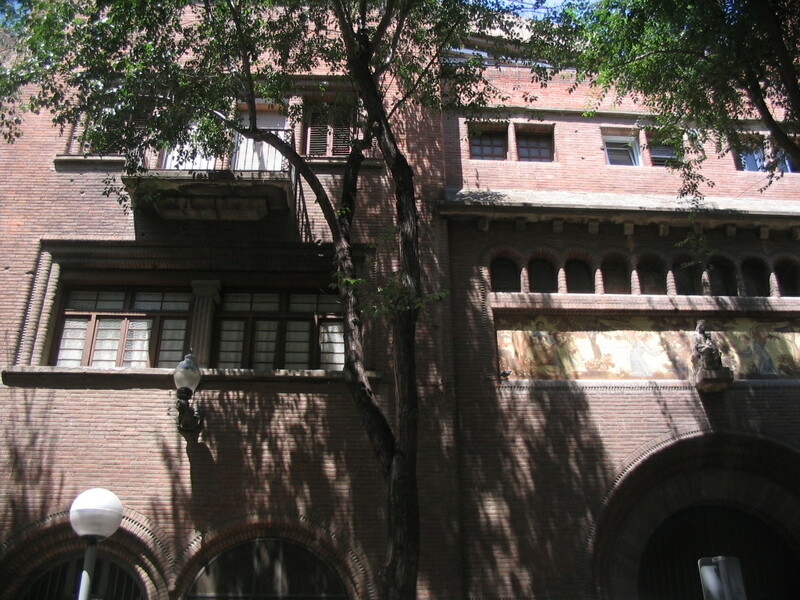 A more unusually shaped block corner across Calàbria from the previous. 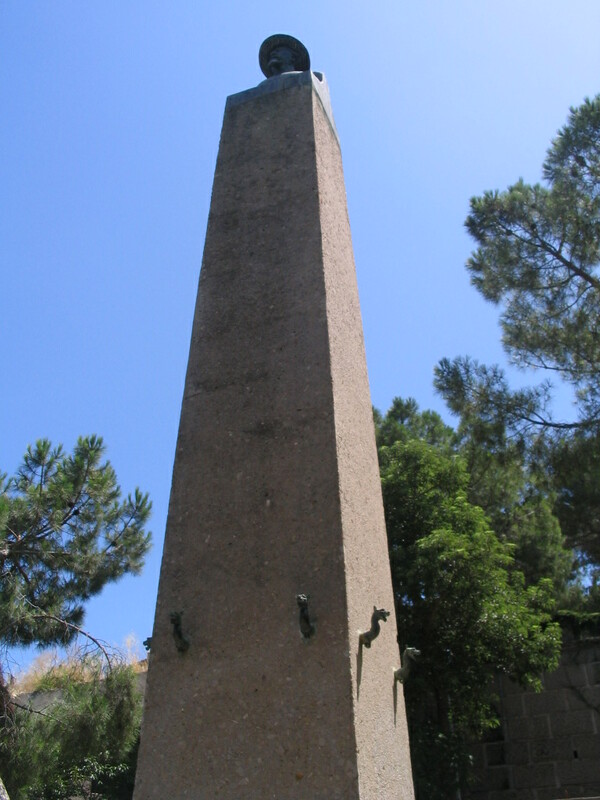 If you're walking from the Ciutat Vella to Montjuïc, you will inevitably cross the grand east-west Avinguda del Paral·lel. 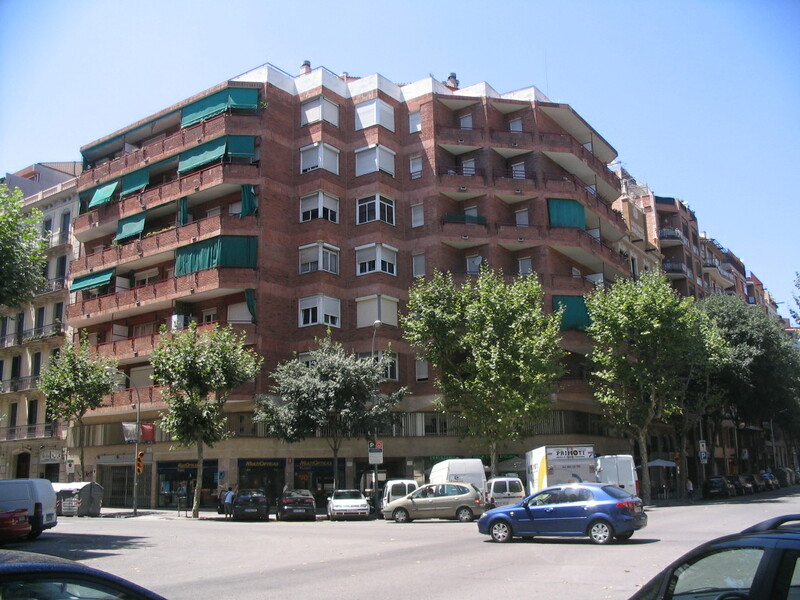 To the south of El Paral·lel, on the north slope of Montjuïc, is the Poble-sec district, developed after the Eixample plan was approved but before it was built out. 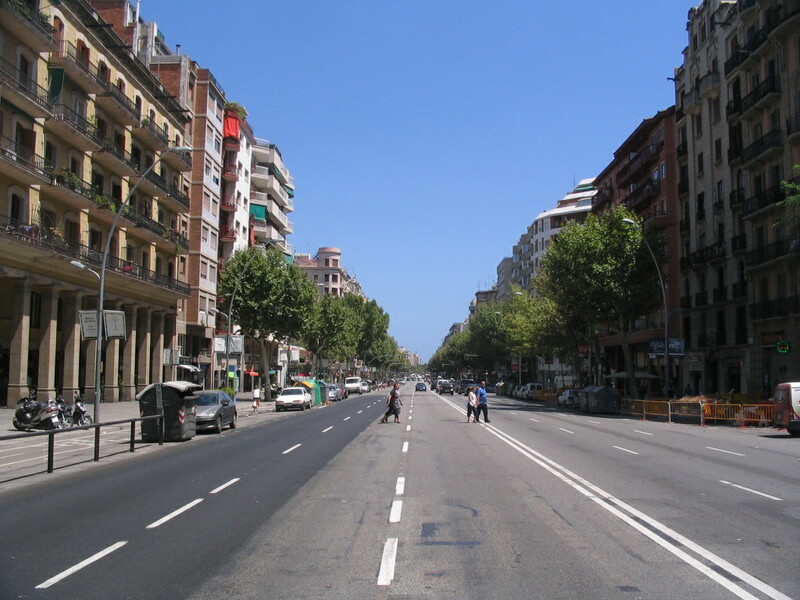 It was left out of the Eixample because of its steep terrain, so Poble-sec's streets are more irregular. 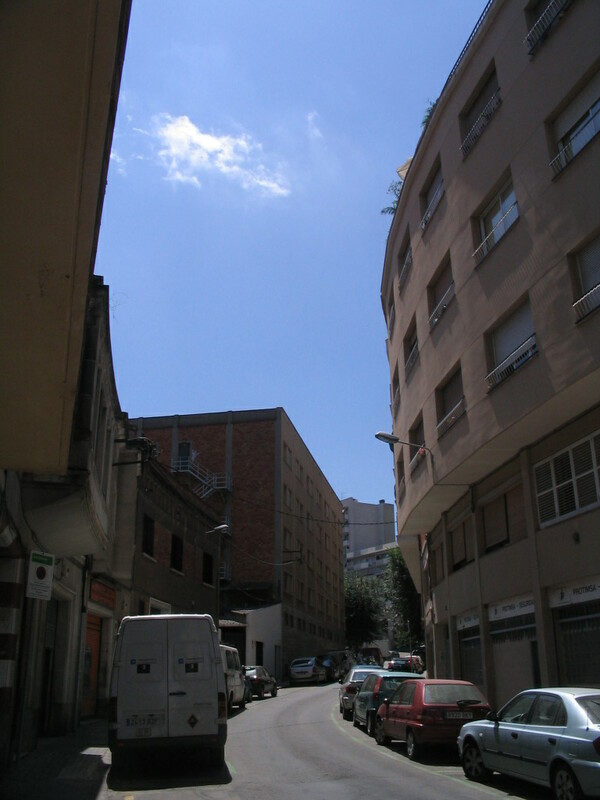 A case in point is this sweeping curve on Carrer Ricart, just past the corner with Carrer Mare de Déu del Remei. 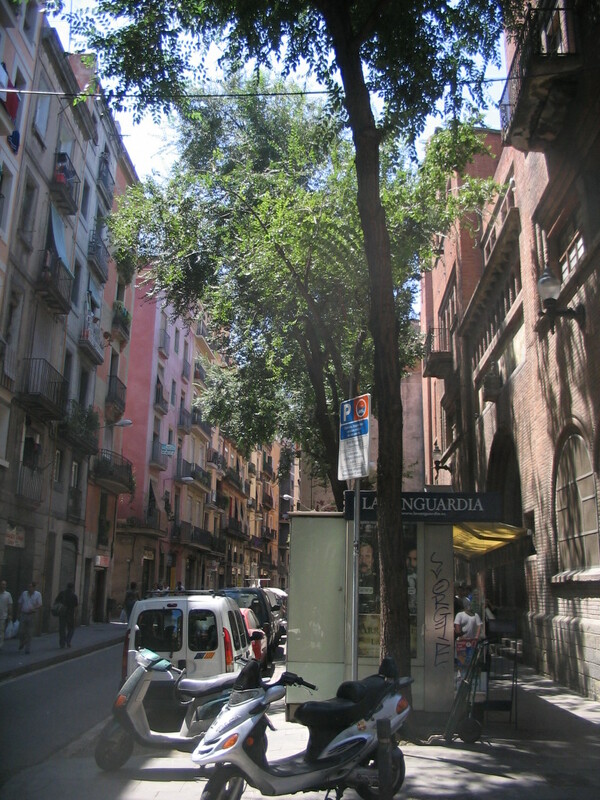 Unusual transom windows and diminutive rosette vents across the Carrer de la França Xica from Ricart, and from a pigeon. 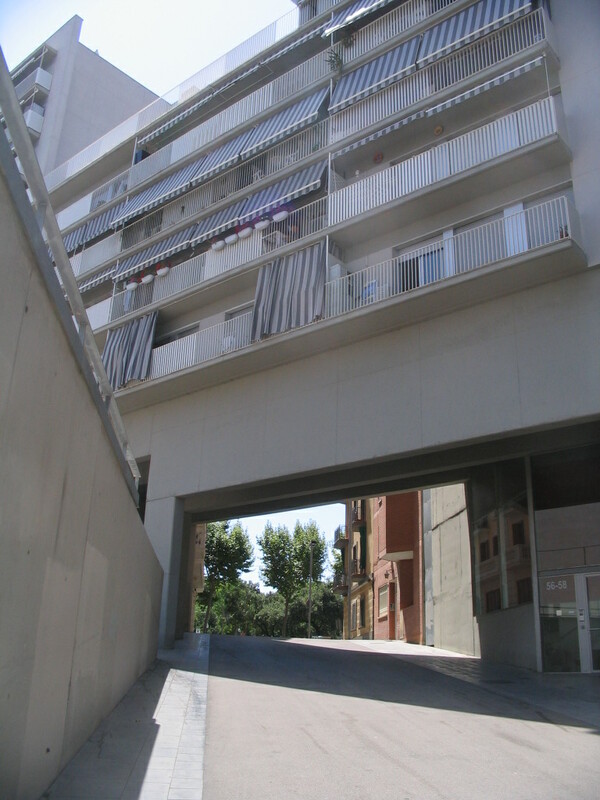 The upper end of Ricart slices diagonally under this housing block. 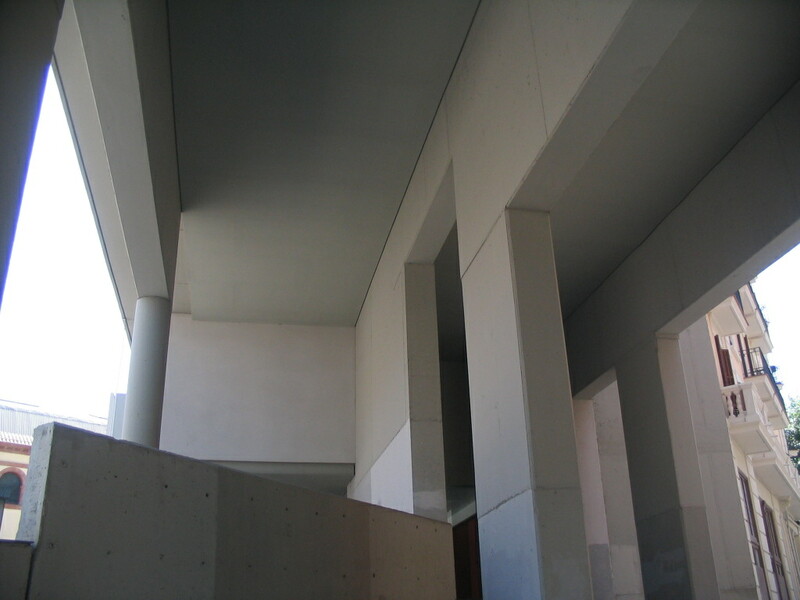 Just to the right, connected to the bridging block, a selection of masonry of various dimensions and solidities. Under the bridging block: so many structural planes. 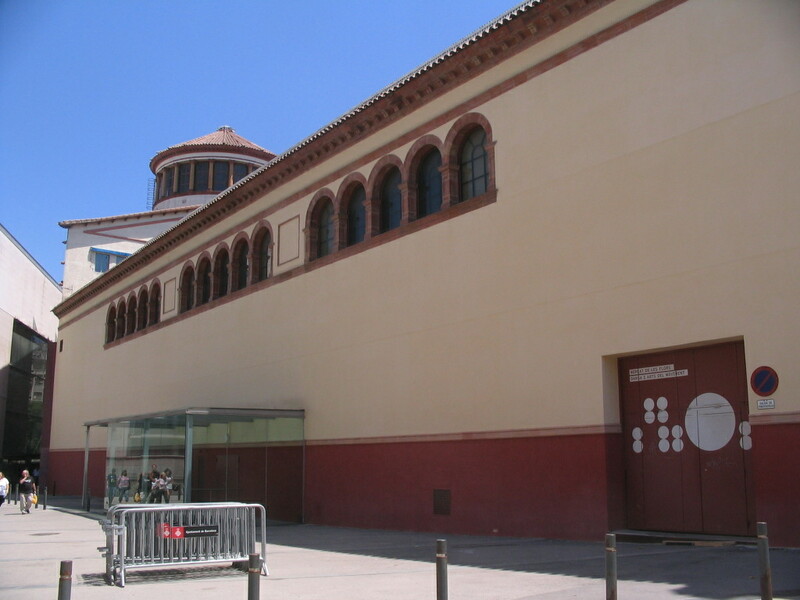 Now getting further up into Montjuïc past Poble-sec, here we have the (back side of the) Teatre Lliure, the old Palau de l'Agricultura, a noucentista complex built for the 1929 exhibition. 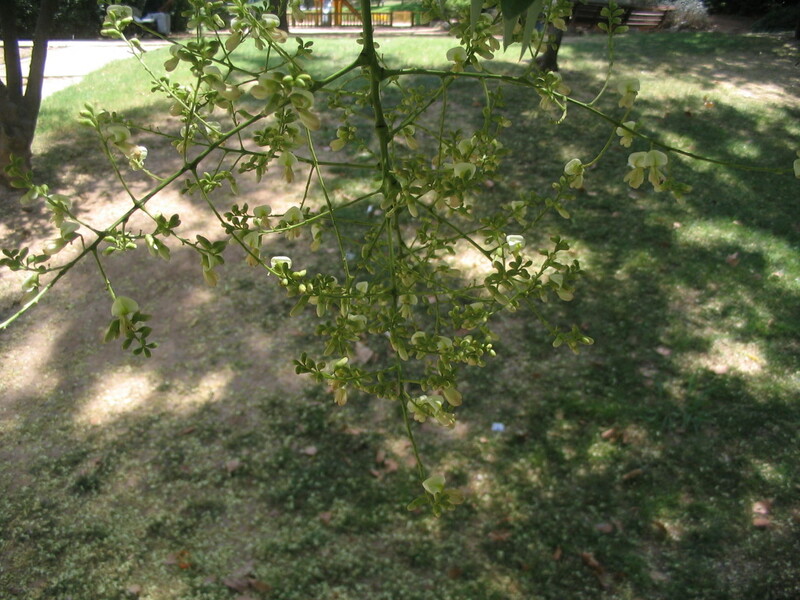 Locust blossoms. 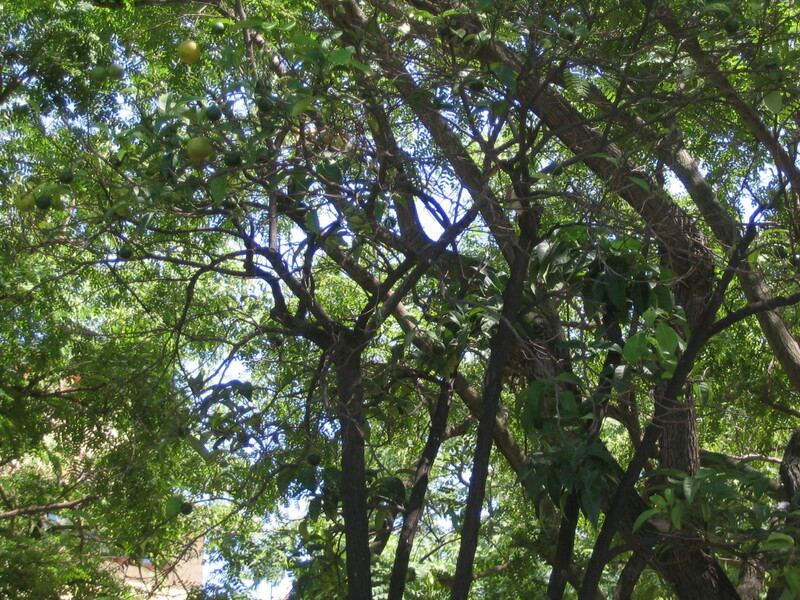 You can tell because they look like bean blossoms but they way up in a tree. Limes! Can you find all 56 of them? 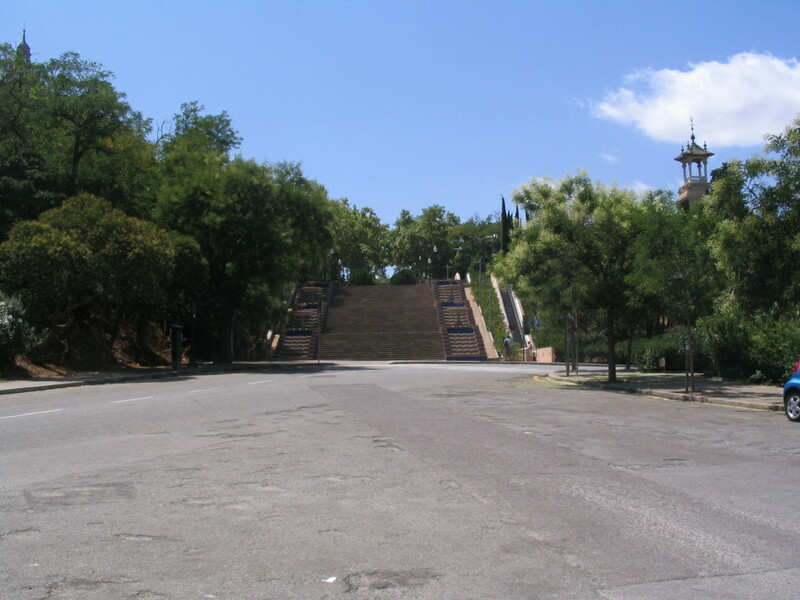 Approaching the secluded eastern branch of the Passeig de las Cascades (cascada means waterfall) at the corner of Passeig de Santa Madrona and Carrer Guàrdia Urbana. 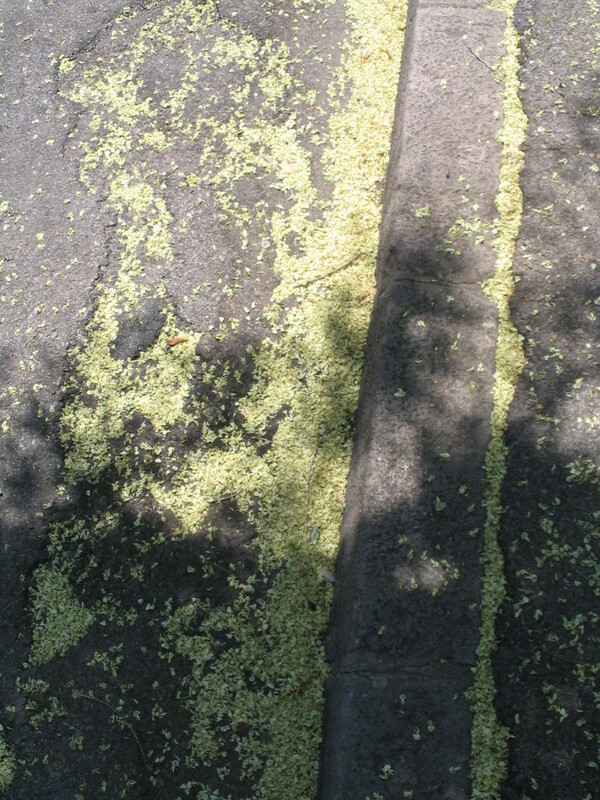 A sea of fallen locust flowers, I think. OK, a pond of them. Las Cascades looking kind of dry. 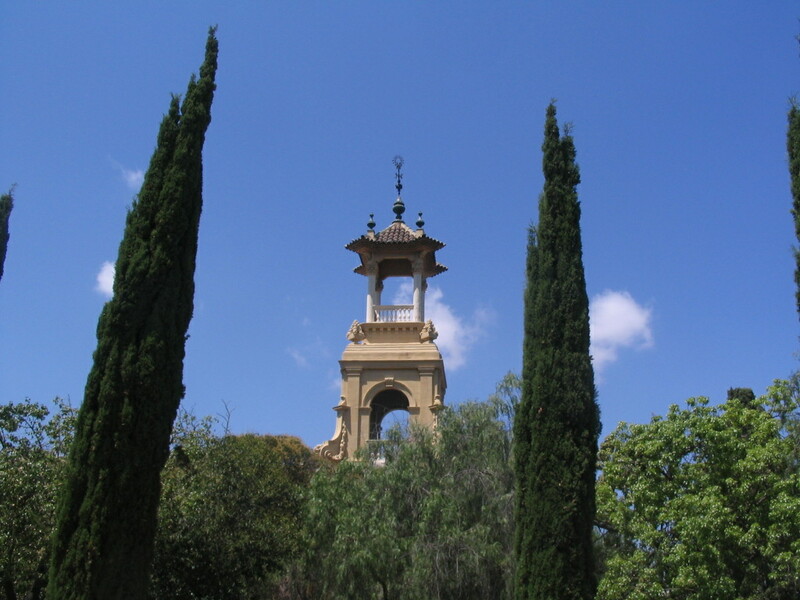 The tower of the Palau d'Alfons XIII, otherwise lurking undetected behind the greenery. A mysterious old buttress or bridge, almost a naturalized part of the hillside, springing down from the occluded Av. 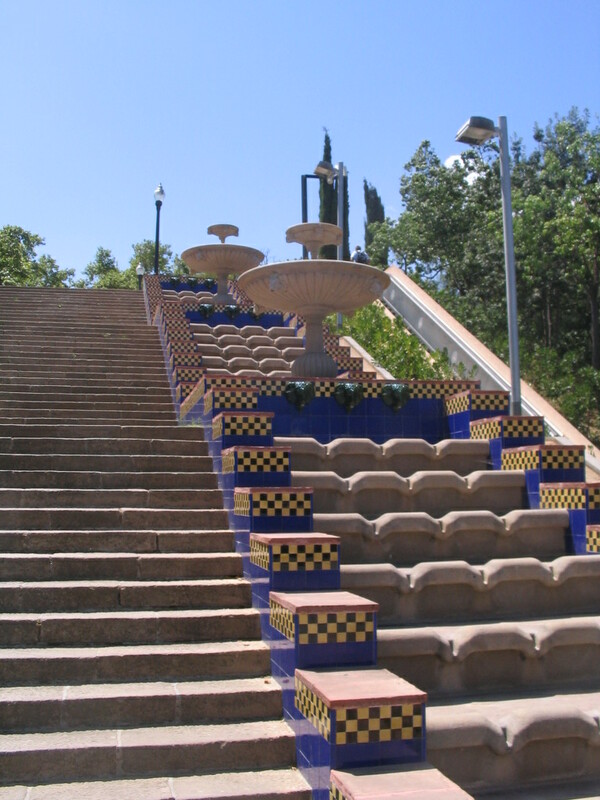 dels Montanyans. No, I don't know what the deal is with Obelisk-and-Dragons-Man. I really like its strange proportions and minimalism, though. 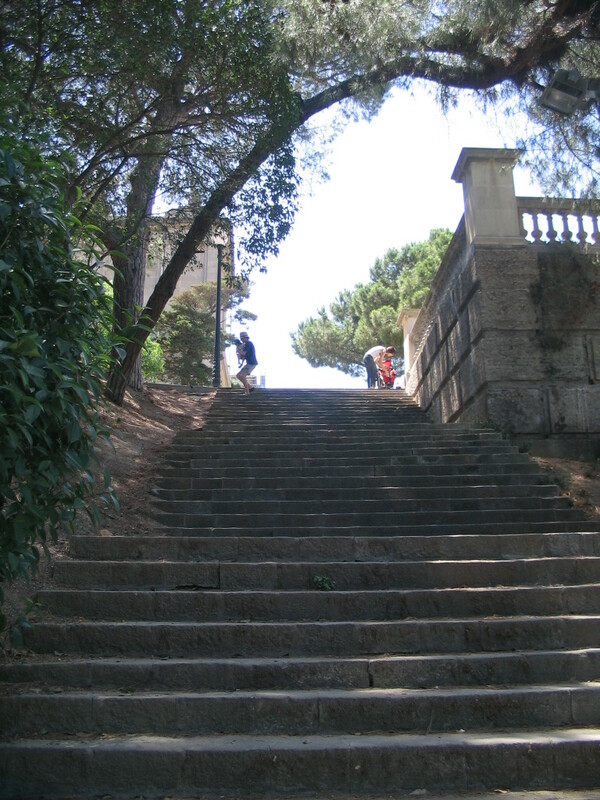 Up just one last set of stairs to arrive at the grounds of the Palau.